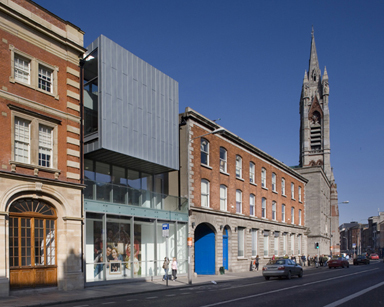 As Conference Chair I am delighted to announce that NCAD will be hosting a Cumulus Conference in November 2013. The conference theme is More for Less – Design in an Age of Austerity. How can design find a balance between excess and austerity? How can design help the education of the next generation? How can we use design to create places and spaces for renewal and growth? How can design improve our wellbeing and welfare? How can design bring local communities together to work on projects that improve how we live, work and play? We propose that in the deepest recession since the great depression of the 1930s we need to turn the modernist mantra ‘less is more’ on its head as the reduced budgets of governments, business and people demand ‘more for less’, and develop a ‘New Deal’ for design. Vibrant economies are built on innovation, but with this comes an ethical responsibility that Design, the engine of the previous decades unsustainable consumerism and excess needs to address. This conference hopes to stimulate discussion on how design researchers, practitioners and educators can respond to today’s fiscal constraints, and stimulate growth and renewal in our economy, culture and society. After all you can’t impose austerity on the imagination! This international conference is intended to act as a platform for sharing ideas and concepts about contemporary design research in this age of austerity. Contributors are invited to submit research that addresses contemporary approaches to design research. The conference is open to research through, for and into design. The conference coincides with Dublin Design Week and I do hope you can join us for this major event.